In December of 2011, researchers from the United Arab Emirates (UAE) University first witnessed a young cormorant enter an unguarded nest, and, after observing a nestling for some time, devour the chick whole. Over the course of ten days the scientists were witness to this surprising event nine times. While the true cause of this unusual behavior is unknown, the scientists theorized in a paper released earlier this month that food shortages for the birds may be to blame. Chronic food shortages in the area could be leading to cormorant parents to leave the nest for longer periods of time to search for food. 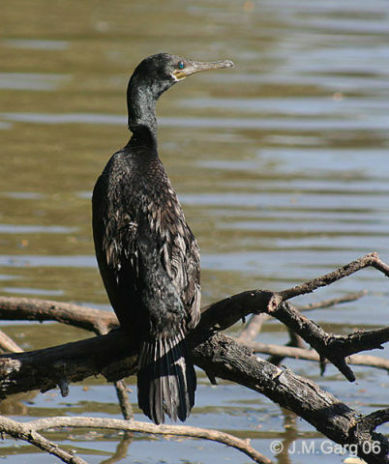 It has always been a part of cormorant behavior to abandon older chicks to get them to fend for themselves. Now the young, starving birds seem to view the unguarded nests as a food source. If the theory proves to be true, this could mean more trouble for the waters off of the UAE which are already in questionable health due to development and over-fishing. Cormorants are in decline in the area and the research team had gone on their expedition to Siniya Island in Umm Quwain where the largest population of the birds live in the UAE. Their plan was to study breeding and behavior patterns, but they had no reason to expect cannibalism. The waters aroung Umm Al Quwain are in the process of being restocked with the zooplankton on which many fish feed, as well as fish. The aggressive programs have included releasing ten million fish back into the sea. However, some fish species are still in short supply. It will be years before the fishing industry and wildlife will be able to rely entirely on the local area. While the programs appear to be successful, it will be years before full results will be seen.